Hints, Tips and Recommendations for your first time in New York City! 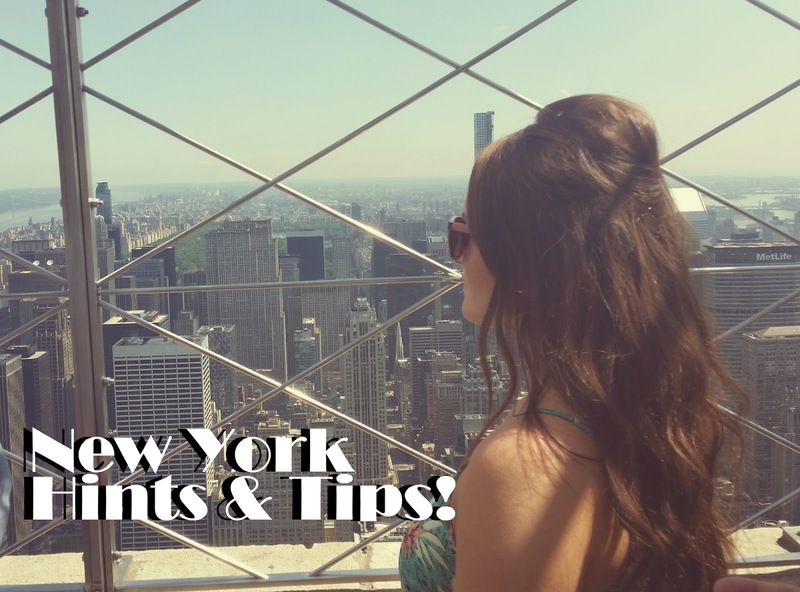 After sharing some of my most memorable moments and pictures from my trip to New York, I thought I'd do a little post to let you in on some tips and places I would recommend for anyone going there for the first time! This was our first time, but through lots of research and other people's suggestions we went to some amazing places, got great deals and done a lot in our time there which I would love to share with you! First of all, which is top of the list is... planning! This is such a busy holiday so you need to plan what you want to see and how you can fit it all in! We done a schedule, based around where each attraction or site was, making sure we done that in a day so we weren't travelling from one end of New York too the other all in a day! Purchase the New York City Pass! We were recommended this pass, which I have spoke about on my other New York post's and I am so glad we were! It saved us so much money and gets you into the majority of the main attractions in New York, here are a few of my favourite which we got in for free with the pass..
We got the pass for 5 days and done all the main attractions, so we could have a couple of days to shop and take it a little easy, we also bought the 3 day hop on hop off bus which was so handy and not a lot extra to purchase! Try something new or book something unexpected when your there, we went to see a basketball game and another musical! It was an in the moment decision but I'm really glad we did! Gives you a little chance relax and enjoy the talent of New York! Next time I think it will be a helicopter ride, we were going to do it this time around but just didn't have enough time to fit it in. For the musicals, you need to book beforehand for a big musical like Wicked which is really popular, when we went to see Les Mes we got really cheap tickets whilst we were there which you can find in Times Square at the tkts point, or what we done was download an app called 'Today Tix' with all discounted tickets on for loads of shows, we also got a discount code when we went on the Inside Broadway tours which we used! I highly suggest checking them out! This something I learnt when there which we didn't do this enough, I would suggest finding a lot of places and writing down the area before you go so you have some options when you are on the go! I wish I had of done this more because there are so many eating places in New York but you are constantly on the go so it's good to have some options in advance.. If you want to go to a really popular restaurant which you think may be busy, I would recommend reserving a table! Take a lot of pictures and remember to take in the beauty of the city around you.. Sometimes when you are in the moment and constantly on the go seeing all the sights, you forget about taking pictures and taking in your surroundings! I took more pictures than necessary, but I can look back and remember each moment when I took it. This is an amazing place and amongst all the busy and hustle and bustle of the city you need to remember to take your time and make the most of each moment you have adventuring around the big apple! So there it is, my most important hints and tips when travelling to NYC, I hope you enjoyed the posts of my time there, it was definitely one to remember...I wish I was back there now looking back at it all! Thank you :) I really appreciate it! Hotel Du Vin | Birthday Celebrations! A Taste Of New York City!